Pink Floyd will release The Endless River, an album of never-before-heard material in October, lyricist Polly Samson has revealed. The Endless River will be based on sessions for Pink Floyd’s last studio album, The Division Bell, which was released 20 years ago. The music will feature multi-instrumentalist Rick Wright, a founder member of Pink Floyd, who died in 2008. Writing on Twitter, Polly Samson called the record “Rick Wright’s swansong” and described it as “very beautiful”. The writer, who is married to Pink Floyd guitarist Dave Gilmour, previously contributed lyrics to The Division Bell and Gilmour’s solo album On An Island. Backing singer Durga McBroom-Hudson, who has toured with Dave Gilmour and Pink Floyd, subsequently confirmed the new album on Facebook. “Yes, there is a new Pink Floyd album coming out and I’m on it!” she wrote, posting a photo of the recording sessions. Prompted for more information by fans, Durga McBroom-Hudson revealed that The Endless River consisted of “all unreleased songs” that had originally been planned for a side project called “The Big Spliff”. “It was originally to be a completely instrumental recording, but I came in last December and sang on a few tracks,” she said. “I don’t know if there will be a tour or not yet,” she added. 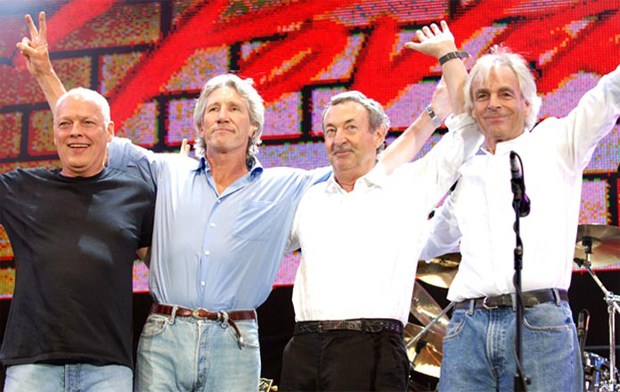 Pink Floyd, who has sold 250 million albums, last performed at the Live 8 concert in London in 2005. The new Pink Floyd album will be released separately from a 20th anniversary, six-disc box set of The Division Bell, which came out last week.